The study published in Nature Communications was led by Professor John McGeehan at the University of Portsmouth, Dr. Gregg Beckham at the US Department of Energy's National Renewable Energy Laboratory (NREL), Professor Jen Dubois at Montana State University, and Professor Ken Houk at the University of California, Los Angeles. The new family of enzymes are active on the building blocks of lignin—one of the main components of plants, which scientists have been trying for decades to find a way of breaking down efficiently. 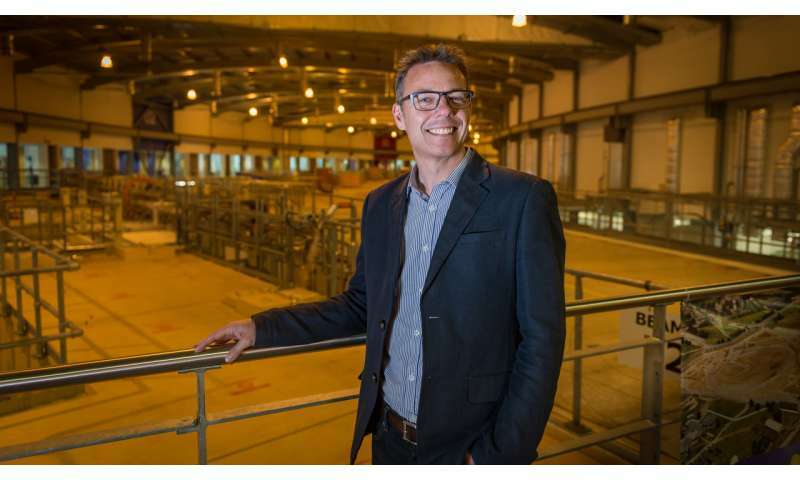 Professor McGeehan, Director of the Institute of Biological and Biomedical Sciences in the School of Biological Sciences at Portsmouth, said: "We have assembled an international team for the discovery and engineering of naturally occurring enzymes. Enzymes are biological catalysts that can perform incredible reactions, breaking down some of our toughest natural and man-made polymers. "To protect their sugar-containing cellulose, plants have evolved a fascinatingly complicated material called lignin that only a small selection of fungi and bacteria can tackle. However, lignin represents a vast potential source of sustainable chemicals, so if we can find a way to extract and use those building blocks, we can create great things." "It's an amazing material," Professor McGeehan said, "cellulose and lignin are among the most abundant biopolymers on earth. 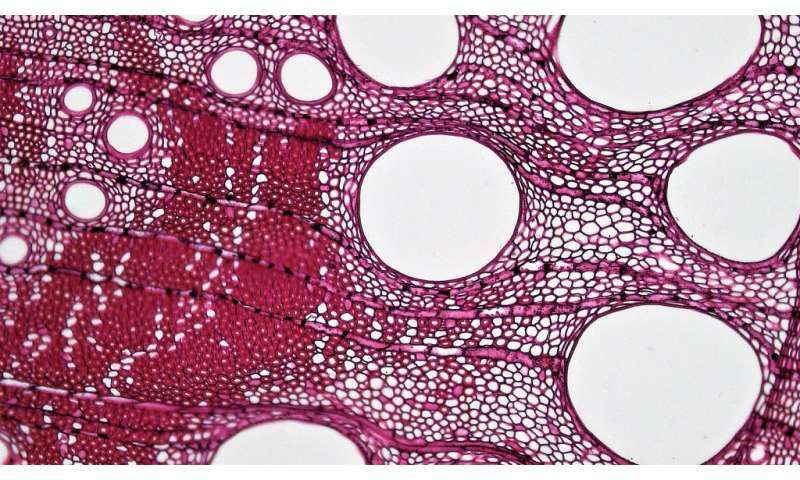 The success of plants is largely due to the clever mixture of these polymers to create lignocellulose, a material that is challenging to digest." The discovery also offers additional environmental benefits—creating products from lignin reduces our reliance on oil to make everyday products and offers an attractive alternative to burning it, helping to reduce CO2 emissions. The research team was made up of experts in biophysics, structural biology, synthetic biology quantum chemistry, biochemistry, and molecular dynamics at the University of Portsmouth and NREL, and at the US universities of Montana State, Georgia, and California and Brazil's University of Campinas. Sam Mallinson, a Ph.D. student in structural biology at the University of Portsmouth and first author on the paper said: "There is a long-standing phrase—you can make anything out of lignin except money—but by harnessing the power of enzymes, this is set to change. Using advanced techniques, from X-ray crystallography at the Diamond Light Source synchrotron, to advanced computer modelling, we have been able to understand the detailed workings of a brand new enzyme system." The enzyme is a new class of cytochrome P450, and it is promiscuous, meaning it's able to work on a wide range of molecules. Dr. Beckham said: "This new cytochrome P450 enzyme can degrade a lot of different lignin-based substrates. That's good because it means it can then be engineered to be a specialist for a specific molecule and we can evolve it further to push it in a certain direction. "We now have one of the most well-known, versatile, engineerable and evolvable classes of enzymes ready to go as a foothold for biotechnology to move forward and make the enzyme better." No wildfires anymore, then ? "Will this reduce the chances of wildfires if it has an impact on global warming by reducing CO2 emissions?" The big issue is that it will take decades to put these discoveries into production. We do have literally hundreds of revolutionary discoveries involving alternative energy sources, improved solar cells and ways to recycle close to everything. But most of the people in the adulte age reading these stories will never see these techniques applied, at least not out of the lab.